Lume is the first smartphone shade ever. Your smartphone produces a highly nuanced, programmable light. Its pixels come by millions and their color nuances come by gazillions. 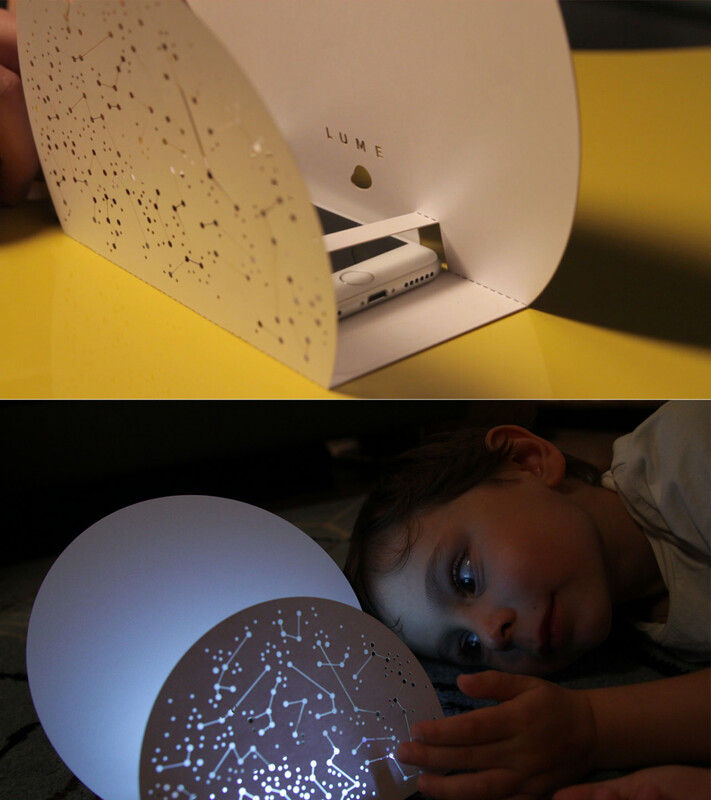 Browse to our secure Gumroad online shop to order a Lume. It will be sent to you via mail in a protective enveloppe. If you will choose to build your own Lume, start by downloading our PDF model. Print it on A3 format paper (closest to cardboard is preferable), cut it out along the red contours and fold it along the dashed lines. The rest is mainly decorative, it's up to you to take the time to cut those bits out. Confirm your email address by clicking on the link you received. Time to check out the mobile app! Is it possible to create your own light programs within the app? Yes, this function is included in the iPhone/iPad app!